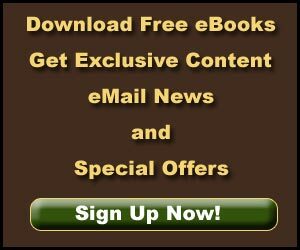 Annie Creek Trail - Explore! 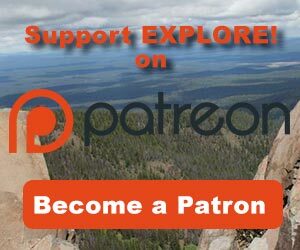 Annie Creek Trail - Explore! Annie Creek, in Crater Lake National Park, arises from Annie Springs, near Mazama Village at the south entry station to the Park. It flows southeasterly until it exits the park and extends into the farmland of the Upper Klamath Basin and ultimately adds its waters to the Klamath River on its journey to the Pacific Ocean. There is a trail that connects the Pacific Crest National Scenic Trail to Mazama Village. This trail parallels the very upper reaches of Annie Creek and connects to the Annie Creek Trail that is the topic of his article. 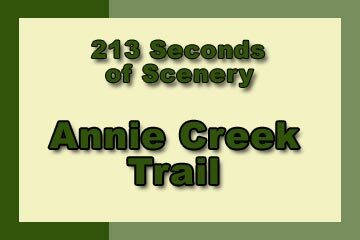 Annie Creek Trail offers a great opportunity to explore a portion of the upper part of Annie Creek Canyon while staying close to the amenities of the park. The trail is behind Mazama Campground, just inside the south entrance station to the park. In Mazama Village, you’ll find a store, restaurant, motor lodge and, of course, the campground. To access the trail, park in the big parking lot, walk out the exit of the lot and proceed across the entrance road into campground Loop B. Follow the loop road until you see the top edge of the canyon. The trail runs along that edge. Follow the trail to your left until it turns down the canyon. Or, follow the trail to the right to find the main trailhead with an interpretive sign and the trail guide dispenser near the amphitheater. It’s a loop trail so just keep going in either direction and you’ll end up where you started. Pick up a copy of the trail guide at the trailhead. It’s free if you return it or $0.75 if you keep it. Knowing that the trail is only 1.7 miles long and well used, we didn’t do much preparation and just headed down into the canyon. It’s just the kind of trail for that approach. It’s really difficult to get lost in the canyon and the trail is obvious the whole way. The canyon is about 200 feet deep at the upper end, where we started our walk. 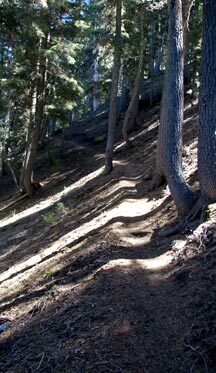 The trail switchbacks down the slope through a mixed forest of lodgepole pine, shasta red fir and mountain hemlock. The forest is open so the views into the canyon are quite good. There is a bench at a turn just below the rim that overlooks the canyon across an unforested slope, for the best view at the upper end. The Trail Guide is a nice addition. It makes this a nature trail where you and your family can learn a few things about the biology and geology of the area. The book is keyed to numbered posts along the trail to help focus your attention. Among other things, the Trail Guide tells us that the creek was named in honor of Annie Gaines, the first European woman to descend the caldera wall and reach the waters of Crater Lake. She accomplished that feat in 1865, long before there were roads to the rim and a trail to the water. 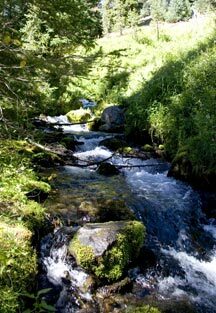 Whether you use the Trail Guide or not, you’ll immediately notice the rushing clean water of the creek. We had read of a waterfall along the creek, but all we found were some cascades. The Trail Guide mentions waterfalls, but also notes that they are one foot high. That’s not what we have in mind when we are looking for waterfalls! You’ll also notice the geology of the area, particularly the Annie Creek Pinnacles along the southern part of the trail. These are fossil fumaroles, formed when hot gasses passed through the pumice deposits from the explosion of Mt. Mazama and welded the pumice into a stronger, but still weak, stone. Annie Creek eroded the pumice, leaving the pinnacles. Many more of these fossil fumaroles can be seen from Highway 62 when looking into Munson Creek and Annie Creek downstream from the trail. The erosion that left the fossil fumaroles continues. In some areas the creek continues to undercut pumice banks that will eventually fall into the creek and be carried downstream. In other places springs above the creek have saturated the pumice banks sometimes causing them to slide toward the creek. At still other places, it looks like the canyon halls have been eroded by small avalanches in the winter or snow melt in the spring. The snow-free season here is generally from the first part of July to October. We walked the trail in September, late in the life of the wildflowers that grow along the creek. We saw a few skyrocket gilia (Ipomopsis aggregata formisissima), arrowleaf groundsel (Senecio trangularis), pioneer violets (Viola glabella), herbaceous penstemon (Penstemon rydbergii var. areocharis) and pearly everlasting (Anaphalis margaritacea). For the most part they were getting pretty tattered. We expect that the display will be much improved from mid- July to early August. There is a large wet meadow at the south end of the trail. There weren’t many wildflower blossoms there when we visited, but we suspect that there would be quite a show earlier in the year. 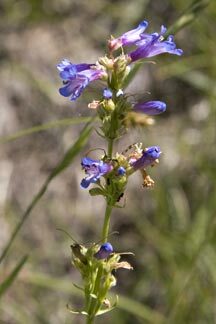 For more about wildflowers at Crater Lake National Park, see our slideshow and article on the subject. From the meadow, the trail winds back up the canyon wall. 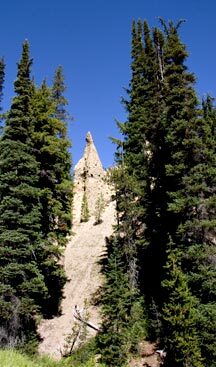 A little way up, be sure to look back for an outstanding view of the meadow and the pinnacles. As you follow the trail along the top of the canyon back to your starting point you will notice a couple of places where trails head down into the canyon. These are also displayed on some maps. It looks like they haven’t been maintained and erosion has eliminated them as reasonable access point to the creek. There are several open views across the canyon from this portion of the trail. If you have sharp eyes, you’ll be able to see the East Rim Drive. The scenery here is great. There are expansive views from the rim of the canyon and fascinating middle-ground and foreground views along the creek. The vegetation (including wildflowers), geology and water combine to form appealing images. As adventures go, this is an easy one. There is a lot of variety with the visual elements, but it is ‘just a trail’ without a lot of other recreational opportunities. The history, beyond the name of the creek, is geologic in nature. The Trail Guide provides some interpretation to highlight the ongoing processes that can be seen here. This is a great trail for kids. Climbing back up is more likely to be an issue with older people than with kids who will love the trail. The Trail Guide also adds an educational component that should help them stay interested. It highlights water creatures, including crayfish, that the kids may want to meet up close and personal. 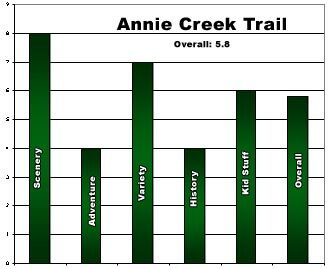 Overall I rated Annie Creek Trail a 5.8 on our scale of 1 to 10.